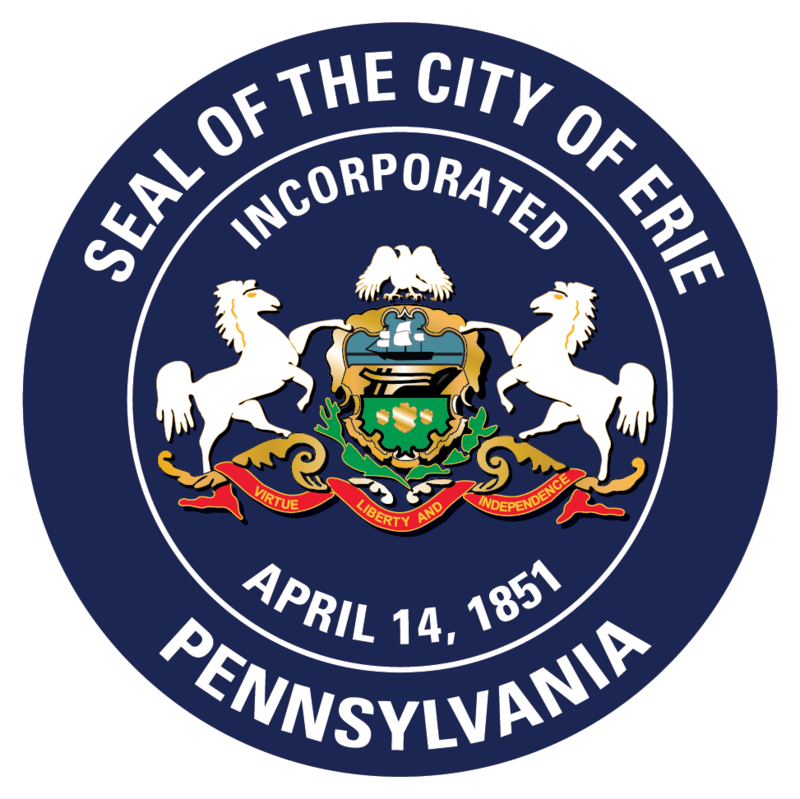 On January 2, 2018, Joseph V. Schember was sworn in as the 48th Mayor of Erie, Pennsylvania. A lifelong Erie resident, Joe spent High School and the first 2 years of college at St. Mark’s Seminary studying to become a Catholic priest. After deciding against becoming a priest, he completed his undergraduate degree in English at Gannon University. He went on to obtain a Master’s degree in English from the University of Dayton. After teaching at Elk County Christian High School in St. Mary’s, PA for two years, Joe returned to Erie and began a career in banking at Marine Bank, which became PNC Bank. Starting as a teller, he attended classes at Gannon University to obtain a Master’s Degree in Business Management from Gannon University. A dedicated teacher, Joe spent 30 years teaching summer banking classes for the PA Bankers Association and the American Bankers Association at Bucknell, Georgetown, PENN and Penn State Universities. He also used those skills to write and deliver bank training classes, radio and television spots. From teller to regional manager, responsible for all 53 branches in the Northwest PA, his reputation for skilled management grew. His final years with the bank were spent as a Relationship Manager in the Wealth Management Group. What Joe loved about banking is that it is a “people business”. That is why he spent 40 years in various banking roles. In an effort to give back to the community, Joe served as a member of Erie City Council for 5 ½ years. During this time, he chaired the Finance Committee and was active in guiding decisions that would help the city’s finances. Now, as Mayor, Joe is working hard to Build Opportunity, Restore Hope and Transform Erie for future generations. By listening and collaborating, he is tackling the tough and complex issues facing this city and region. Whether it is through neighborhood meetings, door-to-door visits or professional gatherings, he is meeting with community leaders, educators, life-long residents, transplants, immigrants, refugees and anyone who lives in the Erie Region. Joe is committed to being open, honest, transparent and accessible. Joe fell in love with his wife, Rhonda Mahoney Schember, at age 19. Rhonda and Joe are very close with their three children: Jaime, Jodi and Joe.